Services - Pasadena Kitchens "Your One Stop Shop"
Basic home appliances represent the very essence of modern convenience. We offer the most affordable and dependable home appliances brands and home appliance parts in the area. If you’re looking for affordable quality home appliance sales or parts, you can find them at Pasadena Kitchens! If you’re not satisfied with your kitchen’s appearance, it may call for some kitchen remodeling plans. This is your chance to make the room truly shine and come out into its own. Let your imagination run wild; a good contractor can turn your dreams into reality. That way, you can have a kitchen that reflects who you are as a person. When deciding on your kitchen remodeling layout, it’s essential to start with professional remodeling contractors. No one knows better than you when it comes to what should go into your own kitchen, but it never hurts to get a second opinion. For instance, choosing the right material or color for your countertops and cabinets could be a dilemma for first timers. The eye of the experienced designer can pick up on details that most would easily miss, and these details can make a big difference. 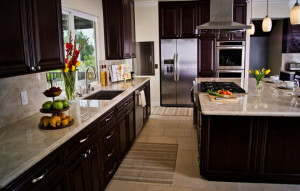 Pasadena Kitchens is proud to offer our construction expertise to our San Gabriel Valley residents. Specializing in kitchen remodeling services, we’ve done many house renovations in the region and are excited to work for your kitchen remodel plans as well! You’re the boss when it comes to your bathroom remodeling decisions. At the same time, you may want another opinion or get some advice on a hard design choice. Our expert remodeling contractors will be glad to help you figure out the best look for your bathroom. Sometimes you may want the very basics of the bathroom changed around. For example, new sinks and cabinets can go a long way in defining the overall look. In other cases, you may just want a few touch-ups. It’s amazing how much of a difference something like the right kind of plumbing supplies can make for bathroom remodeling. All you need to do is to hire our design consultation team. They have the vision necessary to make your dreams of an even more beautiful home become reality. Specializing in bathroom remodeling services, we’ve done many bathroom renovations in the area and are ready to help with your bathroom remodel plans as well! Contact us today to learn more about our other services, we’ll be glad to provide helpful ideas for your home improvement project. "We sell the best & help you service the rest!"